At Super Brand Publishing, we believe that you don’t write a book to become an expert, you become an expert and then write a book– the one your audience has been waiting for…the one they cannot wait to buy! This expertise-first philosophy is the foundation of Super Brand Publishing, and it’s the key to our clients’ continued success. We enable our authors to establish their brand across multiple marketing platforms, including online, positioning them as the go-to authority in their area of expertise. It’s this expertise that readers want to buy in your book! Hi. 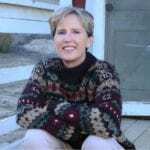 I’m Juliet Dillon Clark, Founder of Super Brand Publishing and our expertise-first approach stems directly from my own disillusioning personal experience with my first book back in 2008. I thought my background with traditional publishing would make self-publishing easy. My big mistake was subscribing to the theory that all one had to do was write a book, self-publish, and BAM – instant bestseller! Using a marketing system that might indeed produce a best-seller…for about five minutes. I realized that this process did nothing but take advantage of unsuspecting authors, who didn’t know that there was a better way. I decided to make that better way available, through the creation of Super Brand Publishing. Over the years I brought my expertise to corporate clients like Mattel, Nissan, Price Stern Sloan Publishing, and HP Books. While I enjoyed the work, and was good at it, I felt like something was missing. I realized that what I really wanted to be doing was helping individuals, not corporations, further their success and find fulfillment. Since then, I have helped more than 600 entrepreneurs and authors share their work with the world and have published more than 60 books, turning more than 190 authors/entrepreneurs into best-selling experts! Let’s cut through the clutter and get your message across so that you can cultivate your fan base, increase sales, and reach a level of success beyond what you thought possible. Super Brand Publishing is dedicated showing brilliant, entrepreneurial authors a new way of expanding their visibility in the marketplace well ahead of publishing their books, building their audiences and generating revenue in advance. We like to think of a successful book as the icing on the cake, NOT the main course. Long-term success depends upon getting your name out there. You need to be comfortable with a wide array of marketing, including social media, internet marketing, joint venture projects, and so much more…and we are here to walk you through it all. We welcome the chance to help you design the perfect, sustainable marketing strategy for you, your business, and your book. Overnight success can lead to overnight irrelevance! The key to longevity lies in putting the right steps in the right order.